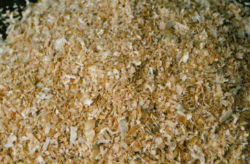 Highly absorbent small flake shavings. Easy to pick. Reduces time spent cleaning stalls and monthly maintenance costs. 2.5 cu. ft. bags. 4 cu. ft. before compression.